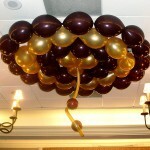 Ceiling decorations are the best type for a very simple reason: you see them all the time. 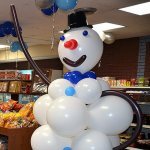 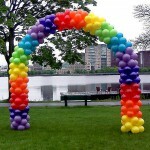 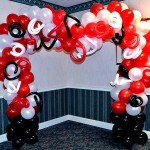 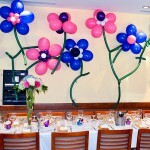 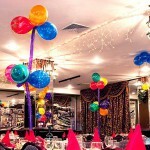 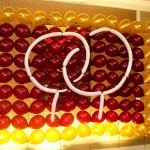 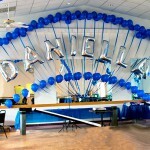 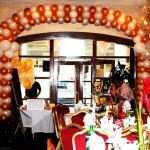 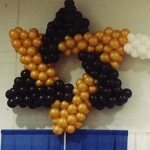 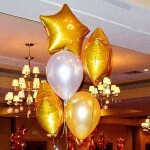 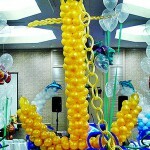 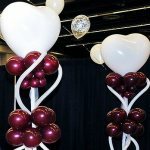 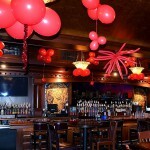 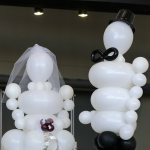 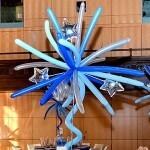 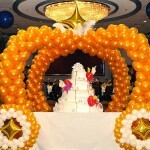 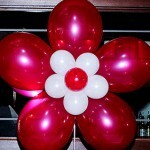 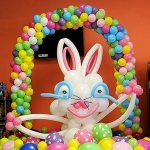 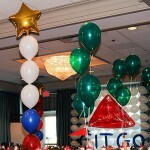 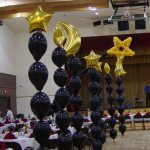 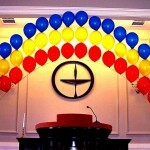 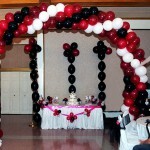 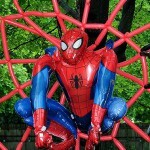 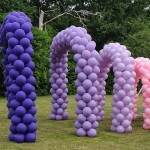 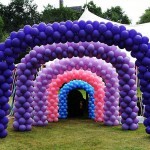 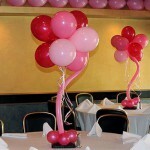 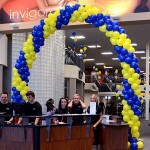 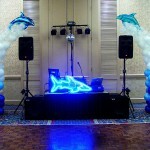 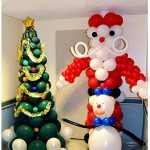 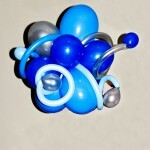 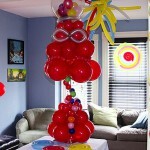 This is a very nice example of a concentric circles balloon decoration. 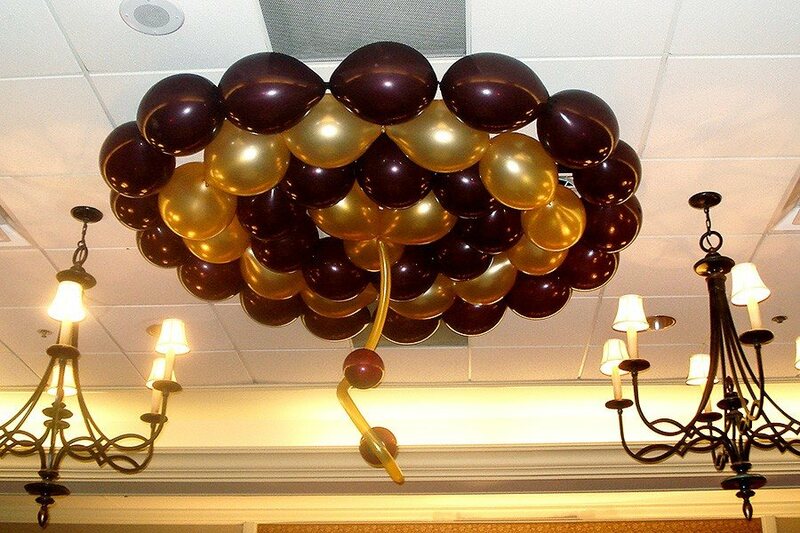 This is a much better investment than just balloons on the ceiling. 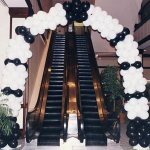 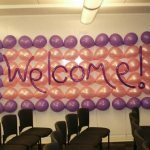 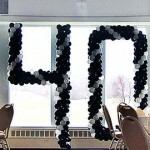 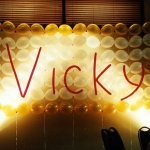 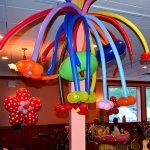 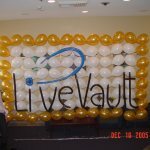 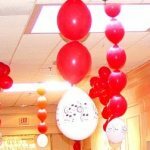 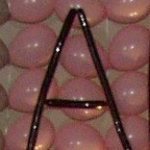 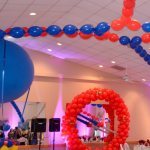 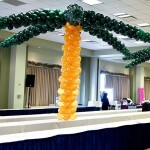 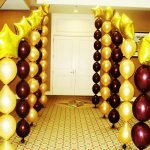 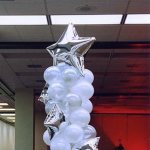 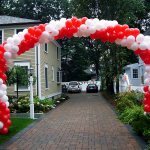 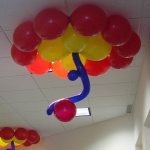 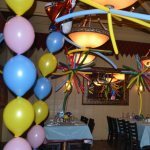 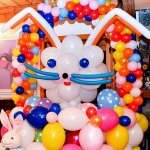 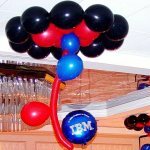 This and other aspects of ceiling decorations will be discussed in a separate post because it is a very important aspect of party decorations.